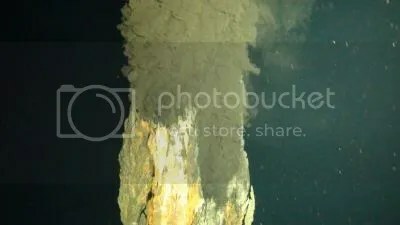 Two researchers from the School of Earth Sciences and Centre of Excellence in Ore Deposits (CODES) at the University of Tasmania have come up with the name ‘neptunian’ to describe undersea explosive volcanic eruptions, says a report at ScienceDaily. These eruptions are sustained and driven by gas exsolved from magma … Neptunian eruptions differ dramatically from magmatic-gas-driven explosive eruptions on land, reflecting the important influence of confining pressure and the higher heat capacity, density, and viscosity of water compared to air. The original article (abstract here) by Sharon R. Allen and Jocelyn McPhie of CODES can be found in Geology: Sharon R. Allen and Jocelyn McPhie, ‘Products of neptunian eruptions’, Geology, July 2009, pp. 639-642 [DOI 10.1130/G30007A.1]. N.B. Not to be confused with Neptunism.